In Fall 2016, the Confucius Institute will continue offering Chinese language and culture classes to all UD affiliated faculty, professionals, staff and their spouses as well as alumni. Non-credit classes or activities are open to the general public. Children under the age of 18 are not eligible to participate in this program unless specified otherwise. 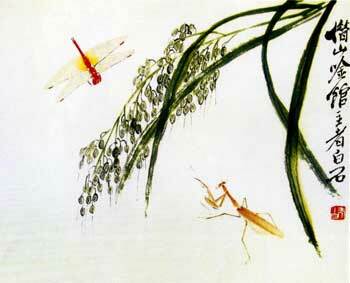 Introducing a new “Chinese Calligraphy and Painting” class. Calligraphy and painting are closely related. The instructor Ms. Fang Guo has been practicing both calligraphy and painting for more than ten years. Now take the chance to learn this authentic ancient Chinese art forms that still thrive today. Class size is limited to 20 people; registration will take place on a first-come, first-served basis. The Confucius Institute reserves the right to cancel any classes due to student shortage. Questions? Email confucius@udel.edu or call 302-831-7188, 302-831-7190. Mondays from September 12 to December 5 for 13 weeks. Tuesdays from September 6 to November 29 for 11 weeks. Wednesdays from September 7 to November 16 for 11 weeks. Thursdays from September 8 to December 1 for 12 weeks. Every other Thursdays from September 8 to December 8 for 7 sessions.